I recently had meetings to attend in Edinburgh, so my lovely wife and I decided to take a few extra days and enjoy some of the sights in a[n] (almost) country that we’re quite fond of. This trip only enhanced that sentiment. We went to both Stirling Castle and Edinburgh Castle (you can buy a pass that gets you into both – and into many other attractions – for less money than buying tickets to each separately) and Stirling is far more interesting. There are free guided tours at each, but Stirling was the central point for control of Scotland and it changed hands between the English and the Scots several times, thus making it central to Scottish history. 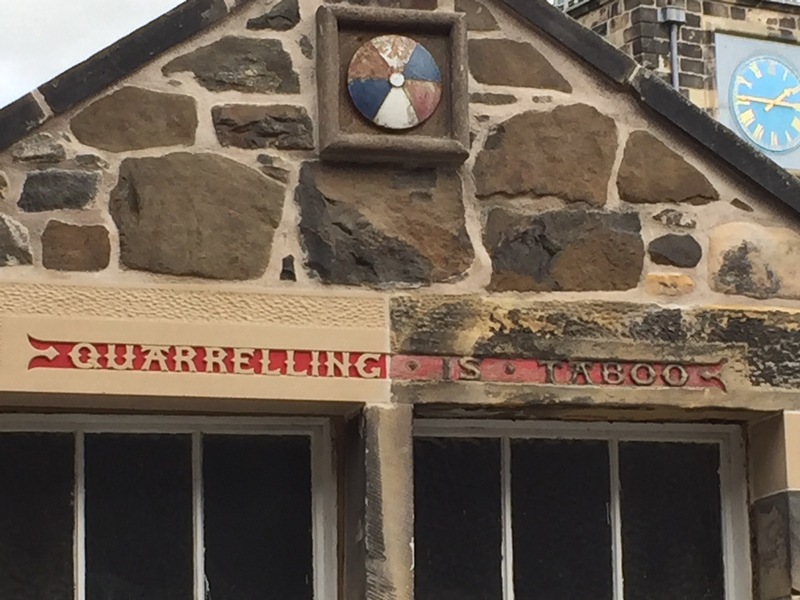 We also enjoyed the inscriptions on some of the buildings leading up to Stirling Castle! My wife “discovered” a Scots artist who is little known outside Scotland but clearly should be. 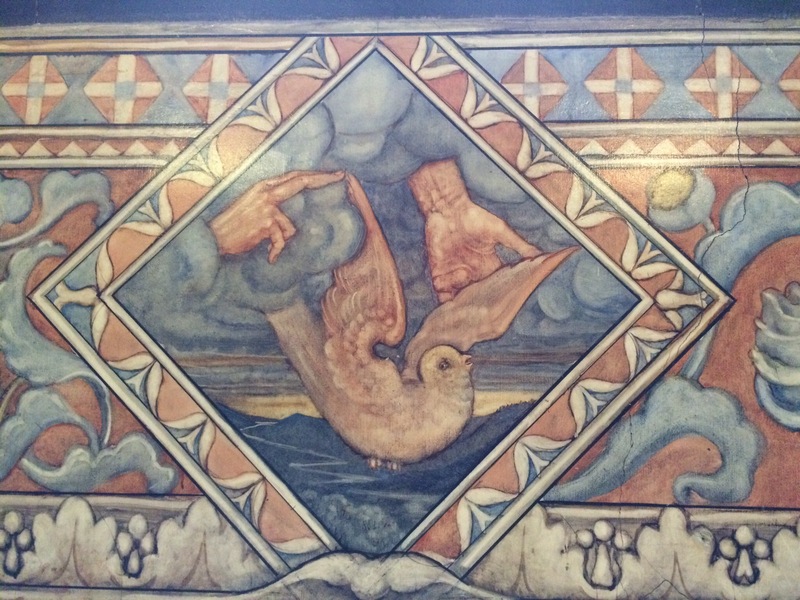 Phoebe Anna Traquair was remarkably talented – a painter, sculptor, muralist and tapestry artist who was very prolific. 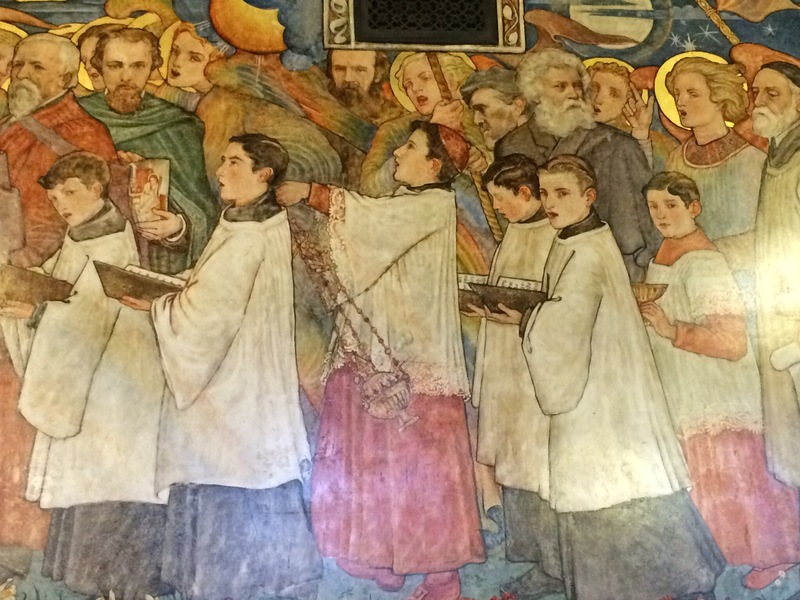 Her work can be seen at the Scottish National Museum (admission free), the former Catholic Apostolic Church – now the Mansfield Traquair Centre – and the Song School, next to St. Mary’s Cathedral. Actually, that latter one is a bit tricky because the space is used for other purposes and can be seen only by appointment (unless you get lucky, as we did). When we went to the Song School, there was no one around and it was locked. We asked someone next door, who, very helpfully, said there might be a man who had a key, and, sure enough, there was and he let us in. Here’s just a sample of what we saw. If you visit Edinburgh, be sure to allow time to take in the spectacular Royal Botanic Garden. 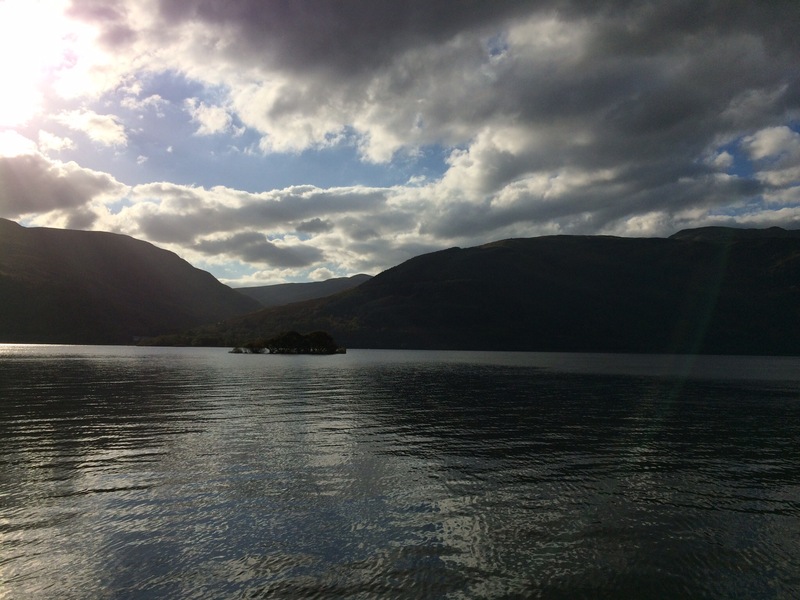 We also enjoyed a lovely drive out of Stirling into the Highlands and all along the eastern shore of Loch Lomond. When we got to the end of the road (but not the end of the loch), we asked a man there how to go further. He was a local, on an outing with his dog Stella, and seemed happy enough to tell all. Only problem was that we could only understand about one word in ten (the Scottish “brogue” is real!). We heard “ferry,” “Christmas,” “party,” “family,” and a few other words and gathered that we were indeed at the end of the road, but could take a ferry from the other side to a building we could see further up the shore where we might attend a party at Christmas time. In any event, we didn’t find any more road. → Cubs win, Cubs win!